The installation and repair of guttering is a job that takes a lot of skill and knowledge. It’s not a job just anybody can do, and it is not a job that you should trust to just anyone. And that is why you should know about us. There a few simple things to follow when hiring a contractor. You would think that at a bare minimum each contractor would have the proper certification and training to do the job. But there are many unscrupulous contractors out there, and they will take advantage of you if you are not careful. The best way to make sure you are getting a contractor who has at least some training and skill is to ensure that they are certified in their craft. If a guttering contractor is certified and trained, they will usually display such information on their website or in their office. Be sure to ask about qualifications before you decide on your contractor. 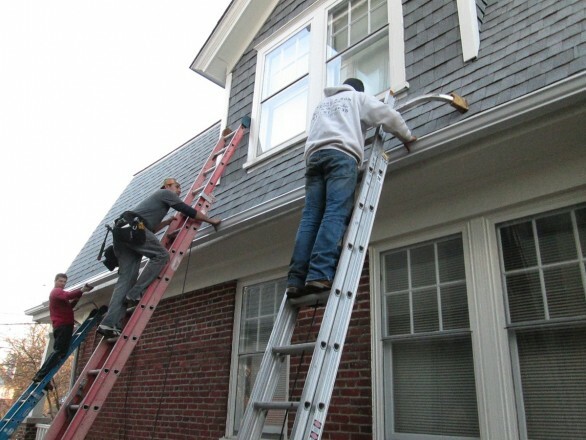 There is a lot that can go wrong during a gutter repair or installation. And if your contractor falls off a ladder or damages your house, then you want to make sure that he has the insurance to cover it. Before you hire a contractor you should ensure that he has coverage for damages incurred both to himself and to your home. On that same note, you should make certain that the contractor will guarantee his work. If he does a poor job, you want it to be fixed without having to pay additional fees. So you should check your contractor’s satisfaction guarantees before hiring him. Any contractor that is worth much will have some references for you to peruse. And they will be glad to connect you with past clients or show you work they have done previously so that you get an idea of the quality of their work. If your potential contractor is hesitant to provide you with references or show you work they have done before then that should be a warning to you that they may not be very good at what they do. Before you choose a contractor, you want to make sure that they can do the work you need done and that they won’t leave you with a mess to clean up afterwards. Ask them if they have previously done the kind of work you need them to do. And see if they will be able to clean up after themselves. Ensuring they using high quality guttering is essential. You may also want to determine if they offer a warranty for their work. This is slightly different from service guarantees, as it gives you a legal contract that ensures the products and services they provide for a number of years. A bare minimum for guttering warranty would be one year, but three to five years is preferable. If a small local business has taken the time to register themselves with the local authorities, then they will be a much safe bet than somebody who has not. Apart from the above-mentioned points, hiring the right guttering contractor merits more detailed homework. This is a quick-shot way to dig more about the potential contractors. Facebook has plenty of dynamic groups formed by house proprietors in various areas. Just pop up the question about the best contractor in your town and you might receive the appropriate answer quite fast. On the other hand, an online reviewing site like Yelp can provide you with the rundowns of ratings and stars yielded by guttering companies in your city- from real time customers. Go through the reviews to gain better understanding and information regarding the top contractors in your locality. Relying upon word-of-mouth advertisement is another solid way to sign up the best talent in the gutter installation business. To tap onto the right contractor, plunge into the technical details of guttering. This will help you to set up a questionnaire to filer out the potential contractors. The primary aspect should be around the sizes of the gutters. The majority of the installers emphasizes upon 5 “gutter size, even if your house would be more benefitted from 6” measurements. Why so? Because, the latter dimension carries 40% more debris, is suitable for spacious rooftops and is relevant for houses that are up to 25 years of age. Gutter levels and hangers are mandatory for correct gutter pitch and durability respectively. Research about them, else you might be misinformed by a fraud contractor. 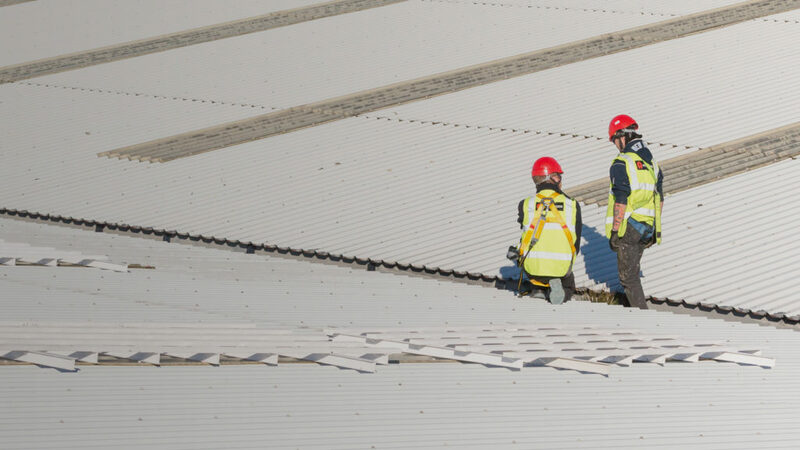 The standard practice of guttering industry is – get-in-and-out of the task as quickly as possible. Due to the lack of technical learning, house-holders fail to perceive the significance of gutter well being or downspout placement in order to stop rooftop leakage or decaying of the wood. So collecting guttering knowledge is compulsory. More so, when your house roof has intricate, detailed designs or is multi-layered. Can the contractor elevate the gutter size? Will the company redesign it? Best, if the company furnishes you with illustrations or photographs of the previous improvement works it has executed. Each filtering out process has its own set of red flags. So beware of the set of red flags apart from forged documents or exaggerated experience. The first alarming sign should be delayed reply of your phone calls/e-mails on behalf of the company rep. Is she/he avoiding your detailed inquiries? Then quickly call off further negotiation with the company. On the other hand, a sales rep forcing you to take an on-the-spot decision must be hiding any inherent flaw of the company’s service. As a house proprietor – know your rights. Taking as much time as you want before investing on gutter installation- is one of them. Does the contractor you have zeroed in finally, offer gutter guard? What will she/he do if you are aiming to induct enclosed gutter for your house? In case the company rep affirms this product, then ask for proofs of previous such installations carried out by the organization. Many contractors offer cleaning services in tow. In that case, there should be a room of negotiation for slashed down price for the whole gutter installation+ annual cleaning package.